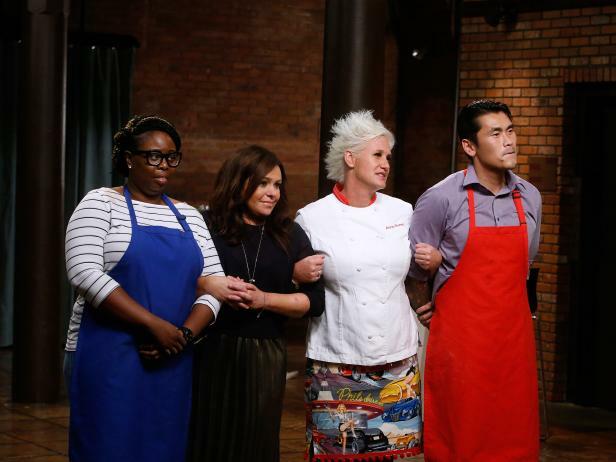 Tonight on Food Network is the Worst Cooks In America finale where the winner will receive $25,000. The final two recruits are Ann Odogwu representing Rachael Ray and Daniel Mar representing Anne Burrell. On tonight's episode Daniel and Ann each have "to prepare a three-course, restaurant-quality meal for a panel of culinary experts. Anne Burrell and Rachael Ray will help coach their recruits, but ultimately it is each recruit's final chance to show how much they have improved since week one. The culinary experts will pick a winner based on a blind tasting, and the winning recruit will walk away with $25,000." I will update this post with the winner after the episode airs. UPDATE - After the three-course meal, the judges determined that Daniel Mar cooked the best meal. Daniel goes home with $25,000 and Anne Burrell goes home with bragging rights. This years ratings for Worst Cooks in America were pretty high and had a 36 percent increase from last season's numbers according to Scripps. With it being one of the higher rated shows on Food Network, there will probably be more seasons to come.